In the past year or so, there have been a lot of mobile-to-PC ports of varying degrees of quality and success. Deus Ex: The Fall has to be the low point; its planned episodic structure was already cut far too short, and when it arrived on PC, the game was a poorly optimized mess with infuriating controls. It paled in comparison to Deus Ex: Human Revolution, which is a shame because I really wanted to spend more quality time in that universe. 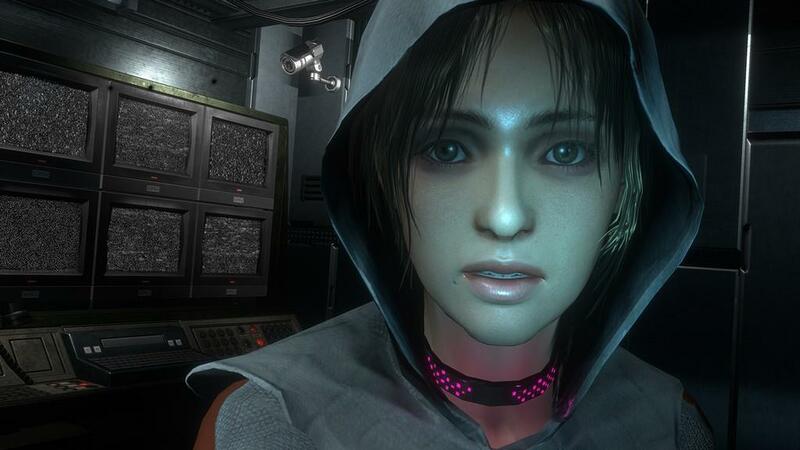 Republique Remastered, then, is an effective counterpoint. 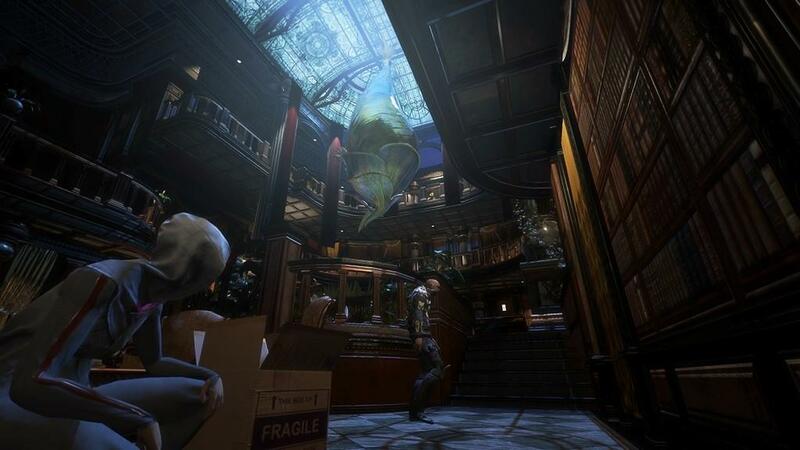 It’s a similarly dystopian cyberpunk stealth game, but instead of taking Deus Ex: The Fall’s roundabout path of shoehorning the PC experience onto mobile and then attempting to back-translate it to PC again, Republique has a pretty solid design that adapts well to both platforms. That probably comes from the talent behind it. Developer Camouflaj has veterans of both the Metal Gear Solid and Resident Evil series, and this shows through in both gameplay and art design. 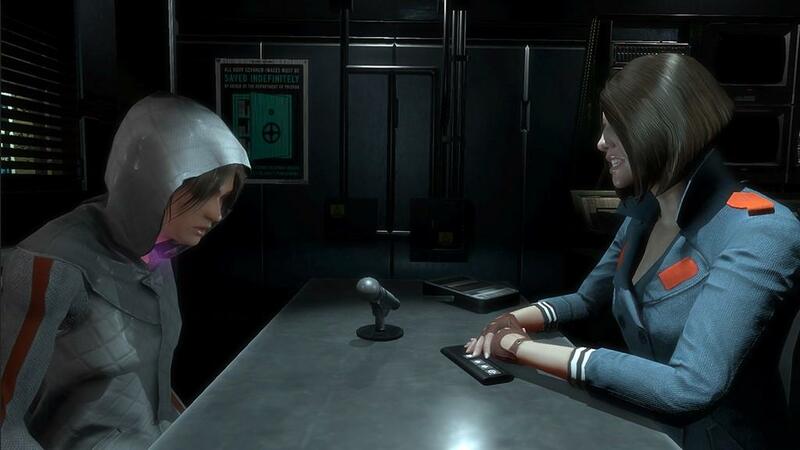 Republique arrived on tablets and phones last year, streamlining classic stealth gameplay into a touch-based mechanic and applying it to an episodic Orwellian plot about conspiracies, information control, and surveillance. In the near future of the game’s story, a fictional Big Brother state called the Republique exists. The regime’s headquarters are located in Metamorphosis, a massive, luxurious citadel where the youth of Republique are born, raised, and indoctrinated. Naturally there’s a resistance movement, led by a fanatic named Daniel Zager (portrayed by Solid Snake himself, David Hayter! ), who is supposedly dead by the start of the game. The game stars Hope, one of the youth within Metamorphosis, who gets caught with Zager’s “heretical” manifesto and is scheduled for “recalibration” (read: brainwashing). You play as a mysterious hacker who has infiltrated the Metamorphosis security system, guiding Hope through the facility by way of surveillance cameras and Hope’s smuggled smartphone. With the help of a double-agent guard named Cooper, you must deliver Hope from danger and help her link up with the Metamorphosis librarian, who is sympathetic to the resistance. 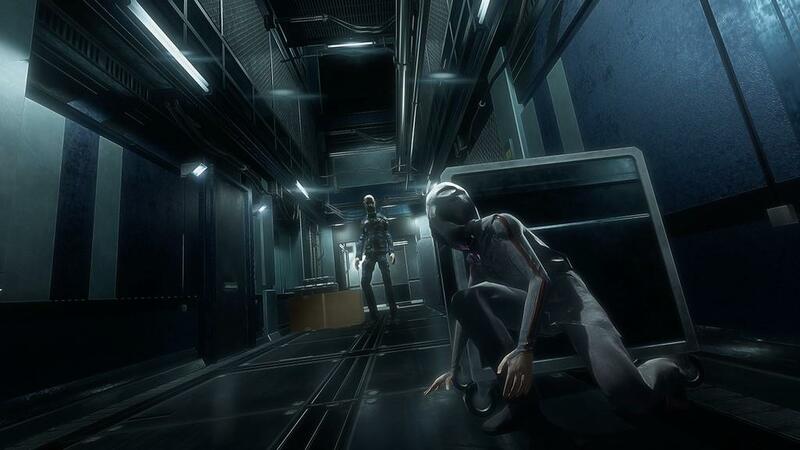 The game’s controls have been updated for keyboard and mouse, but Republique Remastered is still very much rooted in classic stealth and point-and-click adventures. You guide Hope by clicking within the environment, following her path by jumping your view along the copious and conveniently placed surveillance cameras littered throughout the citadel. You can pause the action anytime to examine your environment, planning a covert sneaking path or an escape route if Hope gets detected by the patrolling guards. The Metal Gear and Resident Evil influence is clearly seen in the gameplay and level design. Metamorphosis’s main environment is an elaborate, classically styled mansion with massive atriums, elegant staircases, cavernous corridors and extravagant dining halls. The whole thing is decorated with statues of ancient philosophers, priceless paintings and majestic carpeting and drapery. This facade of sophistication, culture, and knowledge lies in stark contrast to the cramped dormitories and holding cells for isolating and reprogramming dissident students. You’ll be exploring a lavish academic office replete with bookcases and a fireplace only to stumble into a sterile mess hall more befitting an insane asylum. Creeping through this mansion-prison hybrid gave me flashbacks of the original Resident Evil, but thankfully the controls and gameplay are a lot more flexible than that antiquated survival-horror classic. Hope will hug any cover available to her, and as guards approach she’ll let you know with an apprehensive whisper. What really surprised me is that she’s smart enough do some avoidance on her own; Hope will shimmy along a circular marble garden or swap corner cover to stay out of view. Most of the time this keeps you from having to do tiresome micromanaging, but sometimes Hope will “sneak” right into another guard’s line of sight, so the A.I. isn’t exactly perfect. Getting detected is a real problem, too. Guards are fast on their feet, and if they catch Hope, the only way to escape is by using up a can of pepper spray to temporarily blind them. Being able to freeze the game and plan Hope’s next move is helpful, but the point-and-click interface isn’t the best for adaptive evasion when guards are closing in. The game also has some unfortunate holdovers from the old adventure genre. Air vents are some of the best places to hide and are easily the best route past most security, but opening them requires Hope to find disposable screwdrivers. I’m not kidding; the screwdrivers will snap in half after only one or two uses. I think this is supposed to make you think strategically, but more often than not, it just forced me to do things the hard way, not the smart way. Metamorphosis is also littered with collectibles, and taking the extra risk to nab them is usually worth it. Scattered throughout the citadel are banned books and indie game floppy disks that are clearly special to the developers. Cooper will always have some insightful comments on various games and what makes them important, but I preferred hunting down the banned books. The regime has telling reasons for restricting these landmark works of fiction; hearing the Headmaster gravely intone why Leaves of Grass, Naked Lunch, and Animal Farm are so dangerous to young minds brings back many similar arguments from yesterday’s moral authoritarians. There’s an ugly overtone of homogeneity in Republique’s regime, and I appreciated that the game warns there will always be censors trying to erase controversial works from all sides of the political spectrum. I also loved how Camouflaj parlayed all of these collectibles into the game’s upgrade system. Occasionally you’ll find safe rooms with hacked security terminals, where an underground information broker will actually buy banned materials you’ve collected, along with any hacked emails, phone recordings or documents you’ve picked up, too. You can trade this sensitive information for upgrades to your phone’s hacking software, allowing you to see guard patrol paths, access more security systems for more versatile sneaking, and even use things like alarm panels for causing distractions. It’s a clever spin on the obligatory store/upgrade system found in most games these days, and it makes throwaway collectibles more than just color commentary or curious world-building. 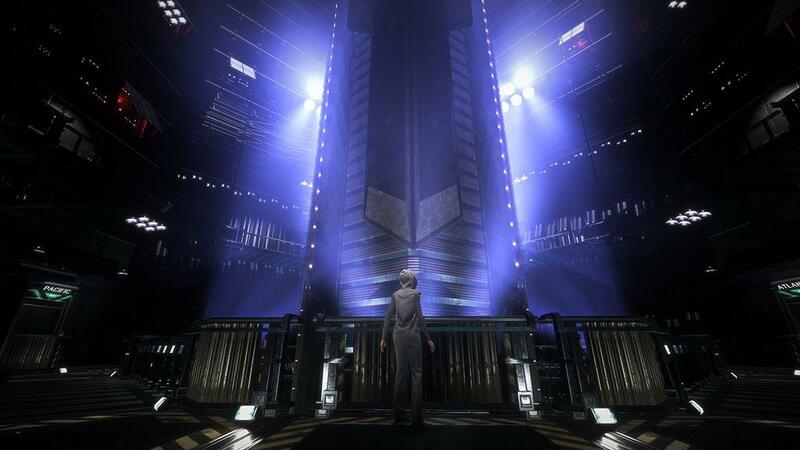 In the Republique, censored information itself is a currency. While I never played Republique on a mobile device, I have watched some gameplay videos, and the remastered port is a huge jump in production values. Camouflaj wasn’t kidding when they said they’ve redrawn every last texture in high definition. The new texture work is so good that it’s hard to tell the PC port is using the exact same character models as the mobile version. The game also features a who’s who of voice actors, including Khary Payton, Dwight Shultz, Matthew Mercer, and of course, the prolific Jennifer Hale. Republique Remastered also makes excellent use of sound effects, with a glitchy, discordant sound library playing through the security system. You know that subtle static you just barely hear crackle through your monitor when your nearby phone receives a text? That almost imperceptible effect clicks just beneath the thrumming audio of your security camera view. It’s that attention to detail that makes Republique Remastered a very special kind of game. It doesn’t nail the stealth mechanic perfectly, but its world is so engrossing that you really won’t mind much. The story is pure dystopia, with all of the twists and plot threads you’d expect, and populated with surprisingly well-realized characters. Only three of the expected five episodes have been released so far, but you can bet that I’ll be sneaking through the final two chapters of the story once Camouflaj releases the rest of their cyberpunk tribute to 1984. Republique Remastered is an effective, modern point-and-click adventure, and one of the few good mobile-to-PC upconverts. The controls and gameplay take some time to get used to. But it's well worth it to explore the lovingly realized world of conspiracy and paranoia.